www.smart-plant.eu/ENE3 Rimini, on the Adriatic coast, is 1h45 train from Bologna airport and 2h10 train from Milan central. Day1: phosphorus and nutrient recycling in Italy and the Mediterranean region, the new Italian Phosphorus Project. Day 2: new nutrient recycling R&D projects, updates on current major projects, nutrient management in Horizon Europe, potential “Mission on Nutrients”. The ESPP stakeholder meeting, Brussels, 5th September 2018, showed a shared concern that the new EU Fertilisers Regulation should be rapidly finalised. The meeting also showed general satisfaction with progress on many questions on STRUBIAS, that is the proposed EU-fertiliser criteria for recovered phosphate salts, ashes, biochars (which should be integrated into the new Fertilisers Regulation once this is adopted). Presentations by Fertilisers Europe (mineral fertilisers), ECOFI (organo-mineral fertilisers), Growing Media Europe and EFPRA (animal by products) outlined the importance of the new Fertilisers Regulation for the Circular Economy, progress made, and the need to resolve some outstanding questions (by-products, conformity assessment procedures, …). Companies and industry federations present called on ESPP to catalyse joint action to ask decision makers (European Parliament, Member States in Council) to finalise the Fertilisers Regulation, because companies need it to enable development of new recycled nutrient products and to remove obstacles to placing Circular Economy fertilising products on the market. The importance of maintaining the European Commission “delegation” to adjust Regulation annexes to take into account innovation and new data was underlined by all. Workshop discussions between stakeholders and a webinar with direct dialogue with JRC Seville underlined the considerable positive progress made in the new “Pre-Final” STRUBIAS report (online at www.phosphorusplatform.eu/regulatory) and identified some significant outstanding questions: need to not exclude Cat1 Animal By-Product Ash (this would block a major phosphorus recycling route which is today operational in the UK, Portugal, The Netherlands, Switzerland …), sewage sludge as input to biochar/pyrolysis/gasification (need for data to show safe elimination of organic contaminants), absence of justification for 3% organic carbon limit for recovered phosphate salts (for coherence, refer instead to limits for “Mineral” and “Low-Carbon” fertilisers in PFCs), proposals for clarification of wording to make understanding easier for industry and users. One important question raised has much wider impacts for implementation of the new Fertilisers Regulation. JRC proposes definitions of “derivates” and “intermediates”, that is chemical processing of a recovered material to produce a fertilising product. This is essential, as was emphasised by ESPP in response to the first STRUBIAS proposals last year: safety criteria for ashes used directly on fields (which must be safe and have agronomic value, e.g. animal by-product disposal ash, poultry manure ash) are different from criteria for ash which is chemically reprocessed (contaminants removed, nutrient forms modified). JRC’s proposal is very positive, but dialogue is needed with industry and legal experts to ensure that the wording is legally unambiguous and compatible with real case examples of recycling – production processes and chemicals used. JRC “Pre-Final” report and proposed Fertilisers Regulation criteria for recovered phosphate salts and derivates (including struvite), for thermal oxidation materials and derivates (ashes) and for pyrolysis & gasification materials (including biochars). Available for comment at www.phosphorusplatform.eu/regulatory Deadline for input = final STRUBIAS working group meeting, Sevilla, 25th September. Working Group Members (only) can submit comments until 14th September. So you should ensure that you get your comments to Working Group Members (e.g. ESPP) before then (comments should specify to which line number of report they refer). 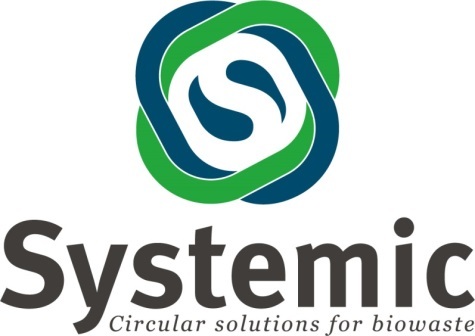 The EU-funded SYSTEMIC (Horizon 2020) project has published a detailed inventory and assessment of European and national / regional (11 EU Member States / Regions) regulations and policies impacting anaerobic digestion and nutrient recovery and recycling (AD and NRR). The document is intended as a tool for investors, planner owners and operators of AD plants who are considering nutrient recovery from digestates. Statistics are also summarised. Legal frameworks considered include financial support policies, product regulations and restrictions to nutrient application to land. These restrictions can drive technologies enabling extraction of nutrients from digestates in forms which can be better managed than liquid digestate. European policies include: Common Agricultural Policy (CAP), Energy Strategy, Clean Air Package and National Emissions Ceiling Directive, BioEconomy Strategy, Fertilising Products Regulation, REACH and CLP, Animal By-Products, Rural Development Fund, Renewable Energy, water regulations, Industrial Emissions Directive. National / regional support policies and legislation are also assessed for Flanders/Belgium, Lower Saxony/Germany, Lombardy/Italy, The Netherlands, United Kingdom, Croatia, Denmark, Finland, France, Ireland and Spain. In addition to the inventory of policies and regulations, the report draws overall conclusions: wide variation in financial support for anaerobic digestion (including zero support in some Member States), wide discrepancies concerning accepted input materials (substrates), but converging obligations concerning nutrient use limitation (Nitrates Directive). Pressure to process digestate and separate nutrients is much higher in regions with high livestock density. Recommendations include: harmonisation of policies across Europe, starting with harmonised definitions in order to facilitate cross-border trade, continuation of financial support for anaerobic digestion as a renewable energy, taxation or other economic integration of externalities (incl. greenhouse gas emissions), long-term stability of regulatory and funding frameworks, shift of fiscal burden from labour to raw materials, regulatory level playing field between recycled nutrient fertilisers and mineral fertilisers. Sweden has announced a new tax on NOx emissions from large industrial installations. The tax will impact some 260 large energy producing installations (chemical industry, power and heat plants, waste incineration, pulp and paper industry and wood industries) at 50 SEK (c. 5€) per kg NOx and will result in a total tax income of around 600 million SEK/year (c. 60 M€/y). The money will be partly reimbursed to the installations as a function of energy produced, resulting in an incitation to NOx/kW performance. Pioneer of phosphorus recycling by struvite recovery since 2005, Ostara has announced two new installations in their international growth areas: Jarocin, Poland (in partnership with Krevox) and Dan Region wastewater treatment plant, Shafdan, Tel Aviv. The Jarocin plant will be the first struvite recovery installation in the Baltic region, and will treat sewage sludge liquor for around 50,000 p.e. The Dan, Israel, plant treats over 2 million p.e. Ostara already operates three struvite recovery installations in Europe: Slough UK (Thames Water), Madrid (Canal Isabel II) and Amersfoort, Netherlands (Vallei en Veluwe) and a total of 18 installations worldwide, with a production capacity of over 20,000 tonnes/year of struvite. 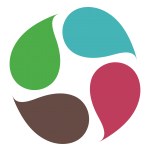 The LIFE byProtVal project will develop demonstration-scale (c.100 tonnes product per year) installations to produce retanning agents and amino-acid based fertilisers / biostimulants from animal by-products. Retanning agents are used to modify and improve the final handling and processing properties of leathers. The project will recover proteins from greaves (protein-containing materials) and processing water from rendering plants and from meat processing plants, and produce protein hydrolysates for these applications. The project launch meeting took place 14th September 2017. The project is coordinated by INESCOP (innovation and technology centre) and involves four companies Purines Almazán (animal by-product valorisation, Spain), El Hórreo Healthy Food (meat product, Spain), and Tumpler Española (leather chemicals and fertilisers, multinational). The international mining and minerals group Luossavaara-Kiirunavaara AB (LKAB) and the innovation company EasyMining, a subsidiary of Ragn-Sells’s, the Swedish environmental services company, have announced plans for pilot plants to test recovery of phosphorus and rare earth metals from iron ore mining wastes (tailings, sands). The objective is a mobile flotation pilot plant connected to the concentrator plants in Kiruna and Malmberget, to produce apatite concentrate (approximately 50 - 60 kg/h from 700 -1000 kg/h tailings) and a pilot plant to upgrade the concentrate to high quality ammonium phosphate fertiliser and recover rare earth metals (approximate capacity 25 kg/hour), to be operational in 2019. After pilot trials, the objective is to build full scale plants. LKAB’s iron mining wastes contain enough phosphorus to cover around five times Sweden’s phosphate fertiliser consumption. The proposed KMAP process is based on EasyMining’s CleanMAP process, see ESPP eNews n°11. Mavitec Environmental (part of Mavitec B.V., a leader in the rendering industry), has developed an innovative gasification system that converts manure into renewable energy and EcoChar, which can be used as fertiliser or animal bedding. Mavitec indicate that the process ensures a volume reduction of up to 85% and that an input of 2.3 ton/hour pre-dried manure or other compatible fuel (75-80% dry solids, not wet manure) produces 5.5 - 6.1 MWth at 1000 °C energy, suitable for use in electricity generation or as pressure steam. Data from Wageningen WUR, see below, show that this EcoChar is carbon-rich (27.2-31.3 % C-Org), dry and free from pathogens, can retain up to 2.5 times its own weight of moisture (so reducing soak-away) and is odourless. EcoChar from manure also contains nutrients: 5,4 % P (phosphorus) and 3.4 % K (potassium) from pig manure, for example. Together with its American partner EarthCare, Mavitec has been developing gasification systems on various products and offers complete solutions to gasify organic streams into usable energy forms. The company today has five full scale plants (2.3 ton/hour input) operating in the United States (since 2007) and one in The Netherlands (since 2018, pig manure). These units treat different manures (pig, cow, poultry), distillery grain and Cat1 animal by-products. Two installations are under construction in Russia and further projects are pending. A desk study by Wageningen University and Research has been published on technical perspectives of the Mavitec product in Europe (economic aspects are not considered). This includes results of chemical analysis of Mavitec Ecochar from pig and from turkey manures. The report notes that, in the Netherlands, although gasification is a regulatory designated manure treatment process, the resulting Ecochar is not recognised as a fertiliser. However, this should be resolved when the STRUBIAS materials (including biochars, pyrolysis and gasification materials) are added into the future EU Fertilisers Regulation. The EU funded (EIT Raw Materials) ViviMag project is developing a process based on precipitation of the phosphorus in the wastewater by iron salts followed by the magnetic extraction of the resulting precipitate (Vivianite: Fe3(PO4)2*8H2O). Iron salts will be dosed into the sewage works, as is generally practiced today for chemical phosphorus (P) removal. Iron(III) is then reduced to iron(II) by the anaerobic conditions in sludge digesters, forming vivianite. This is a non-soluble, crystalline and paramagnetic iron phosphate compound, which can be extracted from digested sludge by magnetic separation. Wilfert (thesis, 2018) showed that up to 60% of phosphorus can be recovered from digester liquor using appropriate magnetic separators, resulting in a material which is around 40% vivianite, 20% quartz and 30-40% organics (%DM) with room for further optimization. Phosphorus can be released to solution from vivianite by subjecting to alkali (pH12), with iron and most other metal impurities remaining in the solid fraction, and then recovered as a fertiliser chemical, or for other applications (e.g. pigments). Research underway at WETSUS in the ViviMag project aims to increase understanding of vivianite formation in anaerobic digesters and magnetic separation, in order to optimise recovery rates, purity and combination with methane production. Research is also looking at developing economic processes to recover phosphorus from the vivianite to produce fertilisers or other products. 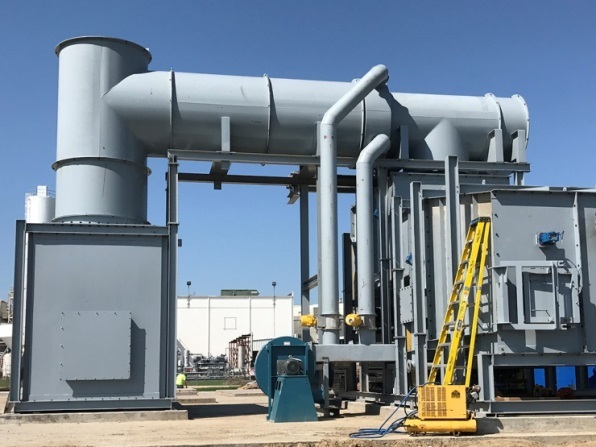 A demo-scale magnetic separator pilot should be operational in late 2018. See also Waterloo Biofilter EC-P System in ESPP eNews n°9. A paper by Stubenrauch et al. (2018) compares legislation relevant to soil sustainability and phosphorus management in Germany, Costa Rica and Nicaragua. Legislation fails to ensure soil protection in all three countries. Legislation promotes more efficient phosphorus fertiliser use, but not lower fertiliser use, and the critical upstream question of frugality and reduction of dietary excess food and meat consumption is not addressed. The new German legal obligation of phosphorus recycling from sewage is a positive but partial approach. Both in Germany and in the EU, the absence of an EU Soil Directive is underlined. The CAP (Common Agricultural Policy), despite some “greening” remains mainly a tool to support agricultural production and does not encourage structural change in agriculture towards more sustainable systems, including restructuring of livestock production. Command-and-control and subsidy approaches to agriculture can result in transfer of environmental problems to other countries, whereas economic approaches to incite to lower consumption of fertilisers or upstream of meat might be more effective. In a recent study, swine manure was collected from a lagoon in one “typical” Chinese pig farm, Xiang’an district, Xiamen, in 2016. Eleven different veterinary pharmaceuticals from three families were tested (tetracyclines, sulphonamides, fluoroquinolene). In manures, the antibiotics were found with “high” frequencies and concentrations (4 – 72 µg/L), with tetracyclines showing the highest levels (the highest being oxytetracycline OTC). Struvites were precipitated from the manure in laboratory reactors: stirred and fluidised bed (FBR). In the latter, different upflow velocities and liquor recycle rates were tested, producing struvites with different levels of organic matter and different particle size. The antibiotic concentrations were significantly lower in the FBR struvite than in the stirred reactor struvite. Antibiotic concentrations (mg/kg) were lower in all struvites than in manure (see below), except for OTC in stirred reactor struvite (concentration similar) but struvite is a ‘concentrated’ fertiliser and so these figures are not comparable, and application rates of struvite to soils will be much lower than for manure. Risk assessment for agricultural use concluded “low risk” for all tested antibiotics for FBR struvites, and low or medium risk for all stirred reactor struvites except one. This was based on application rates for use of struvite as a nitrogen fertiliser, which would result in inappropriately high phosphorus application: use as a phosphorus fertiliser would mean lower application rates so lower risk. Results suggest that antibiotics levels in the struvites are correlated to levels of organic matter and calcium, and the authors conclude that antibiotics levels can be considerably reduced by adjusting struvite precipitation conditions to reduce these impurities (concentration reductions of 2-3x for tetracyclines in test results, more for other antibiotic families). This study confirms results of Lou et al. 2018 (ESPP eNews n°22) that struvite antibiotic levels can be reduced by ensuring low organics. Ye 2017 and Brunet 2007 are also cited as showing negligible adsorption of antibiotics to struvite crystals. In a new study, pot trials of 4-6 weeks showed magnesium dihydroxide (Mg(OH)2 - MDH) residues in struvite (from the precipitation process) can inhibit maize growth and phosphorus uptake. The pot trials were carried out in a phosphorus deficient (Colwell-P 11 mg/kg) soil pH 6.4. Tests compared struvite precipitated from sewage anaerobic digestion centrate (100 litre pilot fluidised bed reactor, using MDH as reactant), synthetic struvite (produced by reacting magnesium chloride, ammonium chloride and di ammonium phosphate) and MCP (mono calcium phosphate). The effects of the excess MDH were confirmed by pot trials dosing MDH with the other fertiliser products. The wastewater precipitated struvite showed phosphorus and nitrogen contents around half those of pure struvite and had a near zero fertiliser effect compared to control (no phosphorus fertiliser, urea, dolomite = calcium magnesium carbonate). The pot trials with synthetic struvite (produced without MDH) showed a “very positive” effect, but lower than for MCP + urea + dolomite. The MCP + dolomite treatments thus had considerably higher calcium dosage than the synthetic struvite (no calcium). The maize calcium uptake (mg/kg in foliage) seems to be similar but the calcium may modify soil mineral availability. The EU-funded (H2020) project SCRREEN has published a report analysing trends impacting future demand for materials on the EU Critical Raw Materials (CRM) list, which includes phosphate rock and white phosphorus (P4), however this report considers only “phosphorus”, taken as P in any form (which reflects “Phosphate rock” in the EU CRM list (see ESPP eNews n°15) . The report is based on a literature review and input from an expert group. An approach by industrial sector, not by material, is taken. For agriculture, key trends are identified as increasing global population, increasing reliance on fertilisers and increasing demand for phosphorus. On the other hand, precision agriculture and the objective of reducing environmental impacts of farming may improve fertiliser use efficiency, and use of secondary phosphorus sources (manure, sewage sludge and food wastes) are likely to reduce dependency on phosphate rock. Important political drivers are cited as the development of a consistent EU framework for nutrient recovery and reuse, and possible regulatory pressure to limit the environmental impact of fertilisers. A study of the Sanjiang Plain, North East China, estimates soil phosphorus accumulation based on over 250 soil samples from two sites, remote sensing data, official fertiliser application data and modelling. The Sanjiang Plain is nearly 110 000 km2, one of China’s main commodity crop production areas, and has a humid continental climate (500-600 mm rainfall, average temperature 1.9°C). The EcoHAT-P model is used to estimate crop phosphorus (P) uptake and P losses in surface runoff, leaching and soil erosion. Model estimates were validated by comparison to soil samples (one site in 2010, one in 2014). Based on this model, total soil P accumulated over the 15 years 2000-2014 is estimated at 560 000 tP, that is an accumulation of >50% of annual P fertiliser application. The launch of the Czech Republic Phosphorus Platform (CPP) was announced at the 3rd European Sustainable Phosphorus Conference (ESPC3, 11-13 June 2018, Helsinki) by Jindra Duras (Vltava River Authority) who presented a poster (online here). CPP is as an initiative five first members: Two represent River Authorities (two of the five Authorities in Czech Republic) and advocate vision to control eutrophication of freshwaters. 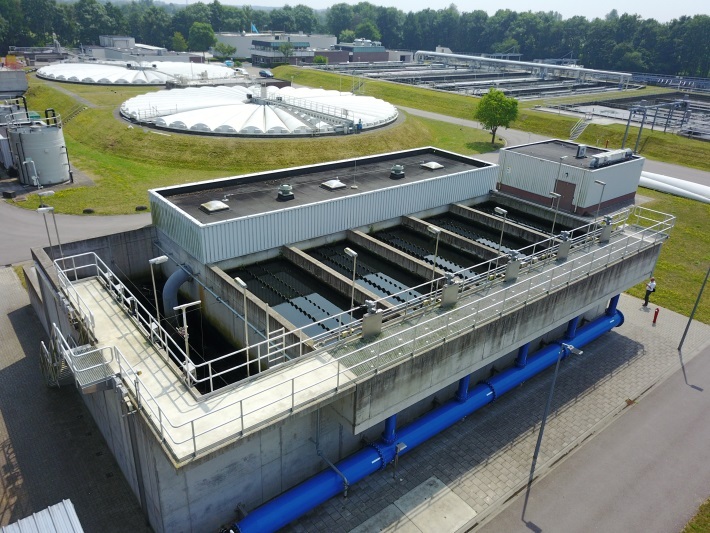 One member is interested in progress of new technologies for waste water treatment plants (ASIO) and two are from research, relating to the circular economy. CPP is open to new members and to new ideas and topics. The Platform project aims to engage government, other river basin authorities, universities, sewage treatment operators, industry, research and NGOs to develop actions to raise awareness about phosphorus losses, mitigation and recycling. 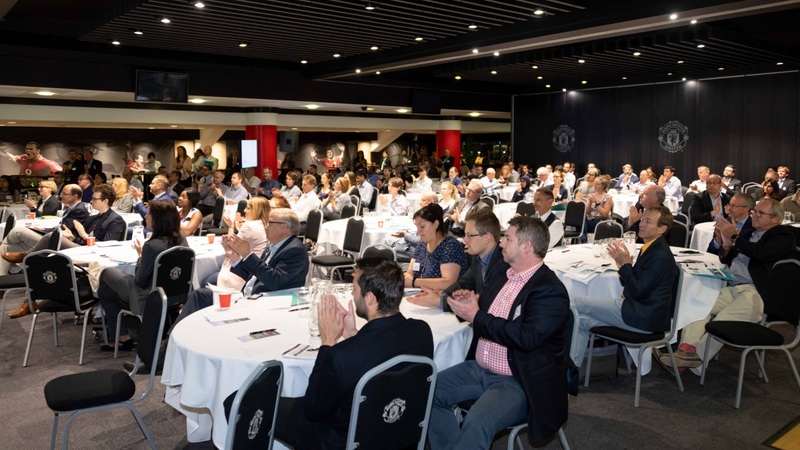 The 12th European Waste Water Management Conference (EWWM), Manchester (AquaEnviro), addressed a range of questions about water treatment, including tomorrow’s challenges of phosphorus removal to stringent discharge consents and of emerging contaminants (pharmaceuticals, antimicrobial resistance, organic chemicals, microplastics). The conference brought together around 230 participants, mainly from water companies and technology suppliers. 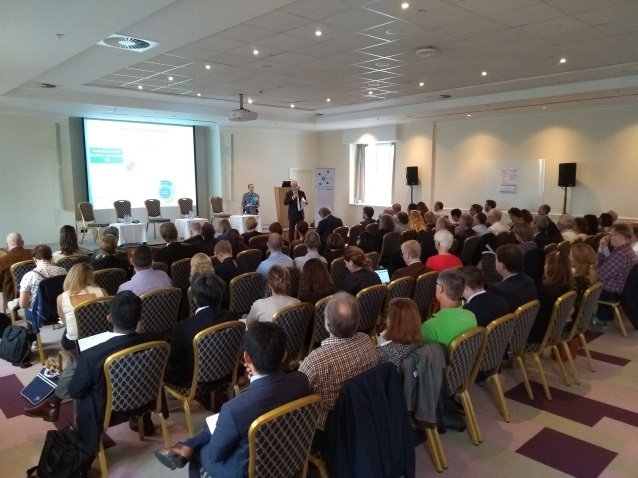 Chris Thornton, European Sustainable Phosphorus Platform (ESPP), opened the conference session on phosphorus (P), by summarising the pressures to remove phosphorus from wastewater and the developments towards phosphorus recovery and recycling. He underlined opportunities including the proposed new EU Fertilisers Regulation, EU R&D funding and projects, the draft EU Water Reuse Regulation, the Water Framework Directive review, the pending EU pharmaceuticals strategy, technology transfer and flexible consent permitting. A key and pressing challenge however is the questioning of use of sewage biosolids in agriculture, both from regulators and from supermarket or food industry purchasing criteria, driven by negative perceptions around contaminants (pharmaceuticals, antibiotic resistance) and by a lack of scientific data and risk assessment. Naninder Sunner, Stantec, summarised the phosphorus removal challenge facing UK water companies and results of the conclusions of the CIP2 testing in sewage works of possible technologies to address this. The current UK water industry investment programme (AMP6) fixes discharge limits at 0.5 mgP/Litre (total P), which are today mostly achieved, whereas the next UK water industry programme (AMP7) is expected to require 0.25 mgP/L and 2.5 mgSS/L by 2024. Some 700 additional waste water treatment plants (WWTPs) will require phosphorus removal in AMP7. Total investment in phosphorus removal in AMP7 is expected to be nearly UK£ 30 billion. 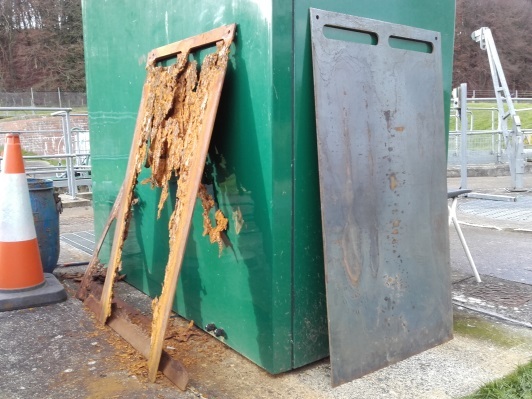 NOTE: UK phosphorus sewage works discharge limits are currently assessed as “annual average”, that is the mean of samples taken over the year must not exceed the limit. The number of samples required per year varies from 4 (< 10 000 p.e.) to 24 (> 50 000 p.e. ), see here. However, the Environment Agency has indicated that flexibility may be authorised in some cases under AMP7, with “stretch permits” and/or 95% confidence limits (“PR19: New approaches for permitting phosphorus”, Environment Agency, 18 July 2017). 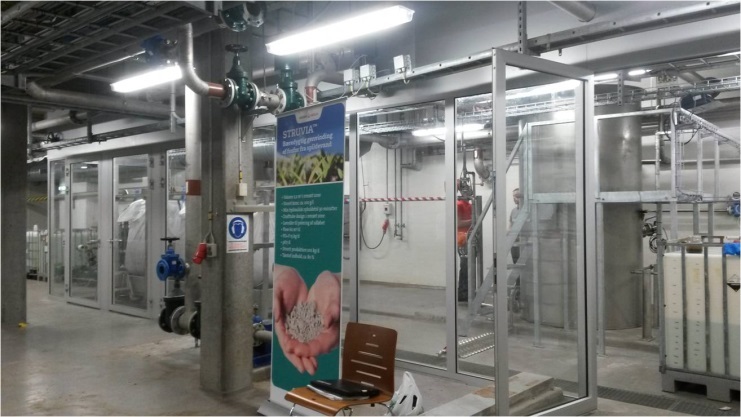 The CIP2 testing has engaged UK£ 50 million to test 20 different phosphorus removal technologies onsite in sewage works. These suggest that 2-point ferric dosing combined with tertiary suspended solids removal can achieve low discharge consents. Traditional deep sand filters did not reliably achieve 0.5 mgP/L under real operating conditions, whereas nitrifying sand filters did achieve 0.25 mgP/L with good maintenance. The best performance was achieved by MECANA rotating disc filters (see below). Challenges identified include procurement (realistic programmes for commissioning delays), increased ferric dosing (organisation of supply and delivery), upskilling for operators and maintenance, an improved monitoring and profiling of input phosphorus to control ferric dosing. Jenni Hughes, Thames Water, and Sarah Jenner, United Utilities, summarised the UK water companies’ joint research programme CIP (Chemical Investigations Programme), see ESPP eNews n°7. The phosphorus removal technology trials in CIP2 showed Mecana disk filters as achieving the most consistent low phosphorus discharge levels. For smaller WWTPs, reedbeds were also effective on condition of having a retention time of at least two days. Based on the CIP2 results, the Environment Agency has fixed a discharge consent objective of 0.25 mgP/L (total P) considered to be achievable by more than one of the tested technologies. CIP2 will also carry out sampling of 74 different chemicals at 600 WWTPs, including sewage sludge analysis at eleven WWTPs. This highlighted several priority chemicals: HBCDD (brominated flame retardant), cypermethrin, TBT, dissolved zinc and cadmium. Results of CIP2 suggest that fully nitrifying processes and granular sludge processes generally achieve better removal of priority chemicals. CIP3 is expected to further investigate microplastics and antibiotic resistance alongside more work on chemicals. Results of P-removal technology trials. Geoff Cooper-Smith, Eliquo Hydrok, and Alex Wohling, Mott MacDonald Bentley, presented the Mecana tertiary disk filter system. This uses modular sets of hollow 2 meter diameter discs, made from assembled sectors, covered with filter fabric (pile cloth media, which looks rather like carpet). The secondary treated wastewater flows through the filter into the interior of the disc, then out through the axis. Backwash is by a mechanical water suction system (like an aquatic vacuum cleaner on the carpet) and is continuous (some disks cleaned whilst others function). In earlier trials at Windermere WWTP, 0.1 mgP/L (total P) was achieved. Four sites were tested in CIP2 (Staveley, Bentley, Cirencester, North Tawton), achieving the lowest P levels of the technologies tested in CIP2 with consistency. Cirencester achieved <0.1 mgP/L for six months, rising to 0.23 mgP/L when ferric dosing problems occurred. A 2-stage Mecana system is now being installed at Goscote WWTP (120 000 p.e. by Severn Trent) aiming for 0.2 mgP/L phosphorus and 2 mgFe/L iron consents. This will use 3 point ferric dosing (iron chloride upstream of secondary treatment, iron sulphate both in and after IFAS (Integrated Fixed-Film Activated Sludge) and two stages of disc filters (course textile and microfiber). Simon Radford, Evoqua, and Ed Ruswa, Severn Trent Water, summarised results of the CIP2 testing of BioMag at Bowerhill (Wessex Water) WWTP for 12 months, and compared it with the BioMag plant to be installed at Rugby (Severn Trent). The system injects the mined mineral magnetite Fe3O4 into the biological treatment, to ballast biological flocs (specific gravity = 5.2). This improves the performance of the secondary clarifiers, enabling these to run at much higher mixed liquor suspended solids input levels, while also improving the final effluent quality without the need for tertiary treatment. . Magnetite is inert, inexpensive, non-abrasive and hydrophobic. The BioMag process continuously recovers the magnetite and returns it to the process, thus minimising consumption. Average discharge achieved in the CIP trials at Bowerhill was <0.23 mgP/L and consistently below consistently below 0.2 mgP/L for extended periods when the ferric dosing was working correctly. Paul Barter, Hydro International, presented several tertiary nutrient removal systems. DynaSand, DynaDisc and DynaSand-Oxy, use ferric post-precipitation with disc filters, sand filters or oxidation (biomass in sand filter). 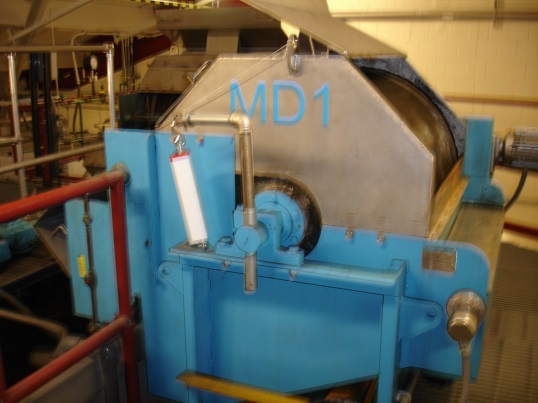 Discharge levels of 0.25 mgP/L were achieved in the CIP2 trials at Watton WWTP (Anglian Water). Hydro International indicate levels of 0.1 mgP/L achieved in operation at Växjö Sweden and Pieteisaaari Finland. The DynaSand Deni system uses a carbon source (e.g. methanol) to feed denitrifying bacteria in the sand filter, with experience in Ratzeburg Germany showing nitrate discharge below 6 mg/L. Caroline Huo, BlueWater Bio, presented the Filter Clear tertiary solids removal, a low pressure (<0.5 bar) downflow four-media filter system (anthracite, silica, alumina, magnetite), with backwash, installed as a Tertiary Solids Removal (TSR) plant. This is combined with one or two point ferric dosing to achieve low total P discharge. As ESPP understands the information available: in the CIP2 trials (with Yorkshire Water), <0.1 mgP/L was achieved for the initial five months, but then site operating issues occurred (see SCOPE Newsletter n°125, page 5). 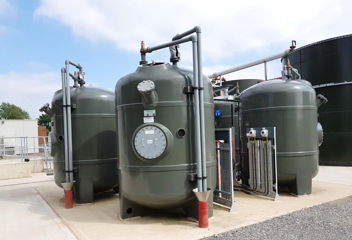 A recent installation at Codsall STW (Severn Trent) is being commissioned, with the results showing that the FilterClear plant is achieving the TP permit of 0.5 mg/L. Currently, the Ferric dosing is being optimised to strike a balance between the compliance and chemical saving. Freek Kramer (Witteveen+Bos consulting Engineers and Nijhuis Industries) presented the 1-STEP® filter, a tertiary treatment solution available to improve the effluent quality of municipal sewage treatment plants. This is a modular and compact fixed-bed activated carbon filter, combining four processes in one unit. In addition to the removal of suspended solids by filtration, nitrogen is simultaneously removed via biological denitrification (using a selective carbon source), soluble phosphate and heavy metals are removed by coagulation and flocculation (with a low dose of metal salt), and, if required, organic micro-pollutants and medical residues can be removed by adsorption onto activated carbon. The results of operation over six years (2012-2018) of the 1-STEP® filter at WWTP Horstermeer of Waternet, Amsterdam were presented. 2.2 mgN/L total N and 0.15 – 0.2 mgP/L total P were achieved, and 30-90% removal of pharmaceuticals (for different molecules). The activated carbon is regularly backwashed and when spent is returned to the supplier for re-activation. Tak Fan Chan, Black & Veatch underlined that the performance of EBPR (enhanced biological phosphorus removal) is dependent on “feeding” the biology of the phosphate accumulating organisms (PAOs). This can be achieved by sidestream fermentation of return sludge (RAS) or other approaches for mixed liquor fermentation. The sludge fermentation approach has the advantage of a small footprint and reliable temperature and flow in the fermenter. A significant number of EBPR plants worldwide are using this approach, and achieving 0.5 mg total P/L. Other developments in EBPR include adding tertiary nitrate removal processes. Peter Dold, EnviroSim Canada, suggested that unreliable performance of EBPR is often the result of design with anaerobic zones that are too small (<10% anaerobic mass fractions). Ana Soares, Cranfield University UK, also presented progress in anaerobic sewage treatment with membranes (UASB). Within the Horizon 2020 SMART-Plant project, tertiary nutrient removal and recovery using modified zeolites and nano-iron exchange is being tested at the lab scale. Carlos Augusto de Lemos Chernicharo, Federal University of Minas Gerais noted that Brazil has 22 million p.e. of anaerobic sewage treatment installed (2 000 plants). This offers advantages including lower sludge production, low energy consumption and operating costs and biogas production. However, nitrogen and phosphorus are not removed, so that additional biological treatment and post precipitation are required, respectively. Cécile Stanford, Southern Water, presented testing of the SONECO process to generate iron-III onsite from a sacrificial steel electrolysis anode, using ultra sound to keep the anode clean. The system has been tested in pilot scale at two sewage works (16 000 and 700 p.e.) for a total of 10 months. Combined with humus settlement, total phosphorus discharge well below 0.5 mgP/L was achieved consistently. Power consumption was around 260 kWh/kg P removed with optimisation underway to reduce this. Advantages identified were low wastewater alkalinity consumed (maximum 20 mg/L) compared to chemical dosing and little impact on pH (increase by 0.2 units) and low investment for small works: no clean water supply needed, no alkalinity dosing, no chemical storage, no chemical tanker deliver access. Challenges noted were failure of the iron monitor due to flocs blocking the sampling line (easily resolved). Photos: the pilot trial unit and the electrodes (new and used). Jane Youdan and Harry Walker, Wessex Water, outlined consequences of increasing ferric dosing at sites already using ferric for phosphorus removal. This is within the “catchment permitting” process developed by Wessex, with the environment regulator, see SCOPE Newsletters n°124 and n°125. 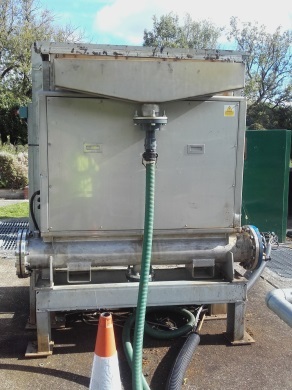 This enables the water company to remove more phosphorus at WWTPs already equipped with ferric dosing, rather than at other WWTPs where costs would be incurred to introduce ferric dosing. The “Catchment permitting” objective under AMP6 is to reduce total phosphorus discharged to the catchment from 134 to 88 tP/y by 2020. There were concerns based on literature that higher primary ferric dosing could cause problems in the biological treatment or impact denitrification, due to inadequate phosphorus to feed these processes. Experience in three WWTPs shows that in fact changes in phosphorus removal and nutrient balance did not affect nitrification and therefore ammonia concentrations discharged. Bryony Bowman, United Utilities, also presented flexible permitting in the Petteril River catchment, with a holistic approach looking at combining sustainable phosphorus removal at the WWTP with catchment interventions to reduce the impact from diffuse pollution. The aim of this approach is to develop a method of reducing phosphorus entering the watercourse in the most efficient, sustainable and cost-effective way. Catchment interventions have included livestock fences to keep cattle out of water courses, buffer strips, sediment pond creation in drainage ditches, stable yard water collection, slurry retention. Ten WWTPs discharge into the Petteril: by the end of AMP7, four of these will have P permits and the others will apply combinations of flexible permitting (combining works and catchment measures) and works measures. Phosphorus recovery technologies are developing, some are already in operation. There are cost challenges. The German and Swiss phosphorus recycling legislations will boost development. Agricultural use of sewage biosolids is the best nutrient recycling route, and the most economical for the water consumer, but is strongly threatened by perceptions around contaminants, especially microplastics. Industry needs to organise support and defence of this route. The movement to lower phosphorus discharge consents for WWTPs is feasible and underway. But international exchange and learning is needed, including on innovative approaches such as flexible permitting. More action is needed to reduce phosphorus losses from agriculture and livestock. Design, maintenance, monitoring and operation of waste water treatment all show opportunities for improvement. for tomorrow include: role of WWTP energy production in electricity grid balancing, electrolysis and hydrogen injection into anaerobic digestion to upgrade biogas to biomethane, cellulose recovery (cost savings), FOG (fats, oil and grease) as feedstock for biodiesel. Current reassessment of the EU Water Framework Directive (REFIT): failure across Europe to deliver the Directive’s quality objectives gives a negative image to the water industry. Need for community and stakeholder engagement, to move from “flush and forget” to source control of contaminants and acceptance of waste water circularity. The conference poster prize was awarded to Lena-Dorothea Reichelt, Glasgow Caledonian University, for a presentation of the Phos4You InterReg project which aims to demonstrate phosphorus recovery and assess recycled fertiliser. 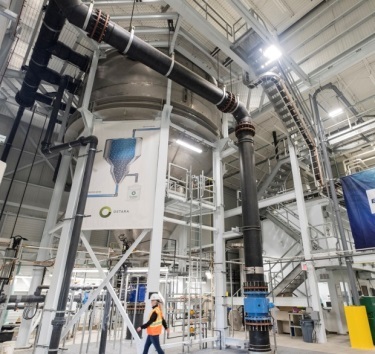 The project includes construction and operation of demonstration installations for phosphorus recovery from wastewater, sewage sludge and sewage sludge incineration ash, and then bringing the recycled phosphate fertiliser products to the market. The microalgae Chlamydomonas acidophila are tested to remove phosphorus from wastewater in smaller sewage works, with the objective of harvesting the microalgae for use as an organic fertiliser – soil improver.